GLOBAL AWARENESS 101 - Let your VOICE be heard and get involved. OUR future depends on it! : EGYPT: An Egyptian Court Sentences 56 Over Migrant Boat Disaster. EGYPT: An Egyptian Court Sentences 56 Over Migrant Boat Disaster. An Egyptian court has handed 56 defendants prison sentences over the deaths of more than 200 migrants, who died after their boat capsized last September in the Mediterranean en route to Europe. The rulings were issued by a court in the coastal city of Rosetta, close to where 202 people drowned in September. The vessel capsized in the Mediterranean Sea on September 21 when it was on a journey to Italy. The court sentenced the 56 defendants to jail terms ranging from two to 13 years in prison on charges of manslaughter and fraud, a report from the court said. One of the accused was acquitted. The Europe-bound boat was carrying between 400 and 600 people. Eritrean, Somali, Syrian and Sudanese citizens as well as Egyptian nationals were reported to have been passengers aboard the boat. In October Egypt's parliament passed an anti-migration law stipulating heavy penalties, including fines and prison terms, for those convicted of smuggling or conspiring to smuggle migrants. 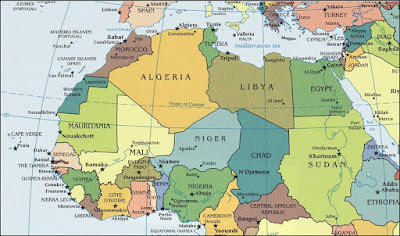 Egyptian authorities subsequently arrested the owner of the boat and other suspects including crew members and migration mediators. 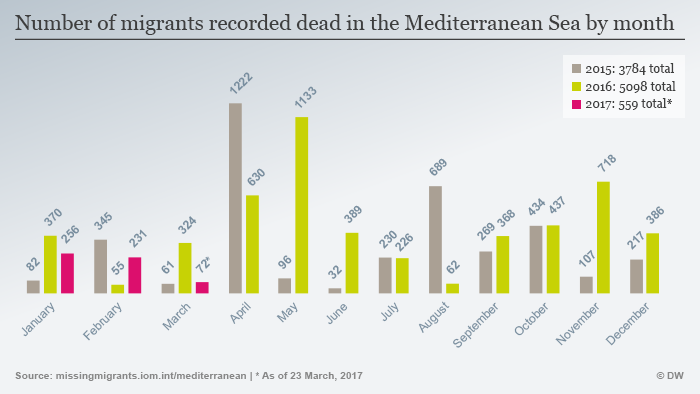 In recent years, Egypt has seen an increase in migrants trying to travel across the Mediterranean to Europe. 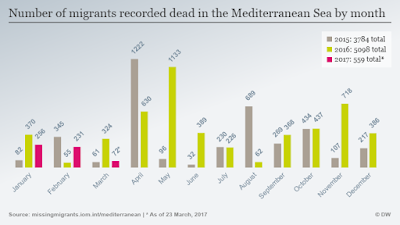 The International Organization for Migration estimated the number of migrants who died or disappeared while attempting to reach Europe via the Mediterranean in 2016 to be more than 5,000.